Situato a Salonicco, a soli 15 minuti a piedi dalla Chiesa di Agios Dimitrios, l'appartamento Cosy centre apartment (parking parking) offre una terrazza, un salone in comune e una cucina in comune. La struttura dista 18 minuti a piedi da Piazza Aristotele e 10 minuti a piedi dal porto di Salonicco. L'appartamento presenta 1 camera da letto e un soggiorno con TV a schermo piatto. Il bagno è completo di doccia. La struttura dista 1,7 km dal Museo della Lotta Macedone e 2 km dalla Rotonda di San Giorgio e dall'Arco di Galerio. L'Aeroporto più vicino è quello di Salonicco, a 14 km. 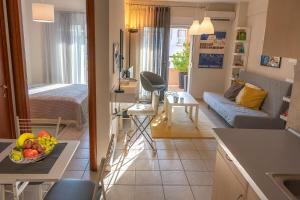 Quando vuoi soggiornare presso Homelike centre apartment (free parking)? 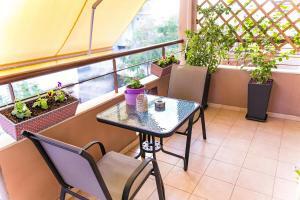 Appartamento con ingresso indipendente, piano cottura e tostapane. 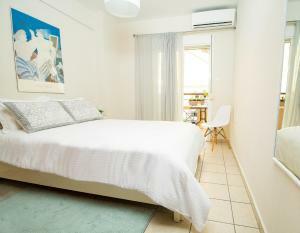 Fully equipped, renovated & very bright apartment in a new building with free parking spaces. Apartment (45 m2) on second floor. 1 min away from the bus stop & 10 min (on foot) away from the center. 200m from Train Station (the station of the buses to the center, TIF Helexpo, Ktel, airport etc) and 800m from Ladadika and Valaoritou area. Very close (on foot) to nightlife and port. Quiet neighborhood with all the amenities (supermarket, bakery, pharmacy, cafe). 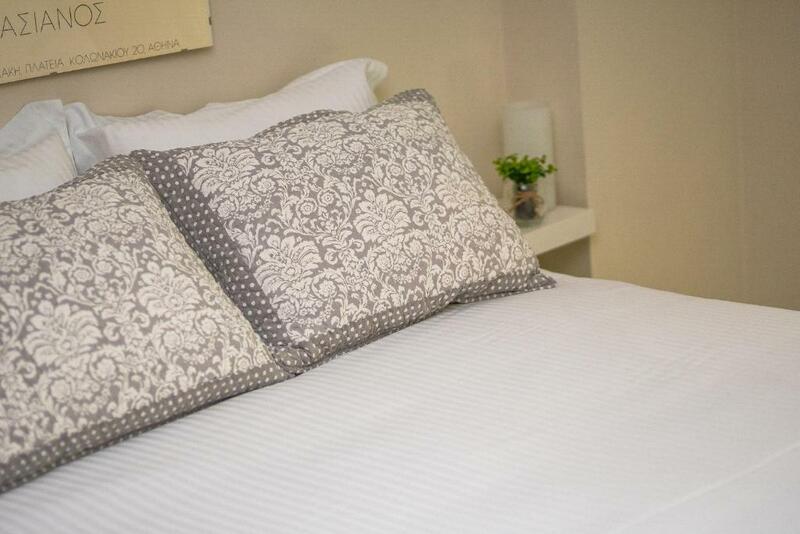 Ideal for couples, group of friends, famillies & business travellers. You can continuously book the apartment for 90 days. Thank you in advance! Bedroom: The size of the bed is 150cm x 200cm, comfortable for a couple (high quality mattress).The room includes a closet, a body mirror and air condition. 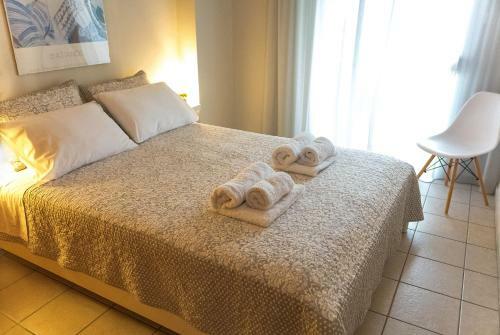 We provide linen (towels, bedding etc). Living room: The size of the sofa bed is 140cm x 200cm that can accommodate comfortably two people. The books of the library, board games and Smart TV give you the opportunity to enjoy in a variety of ways. The room include a air condition and a shoe organizer. 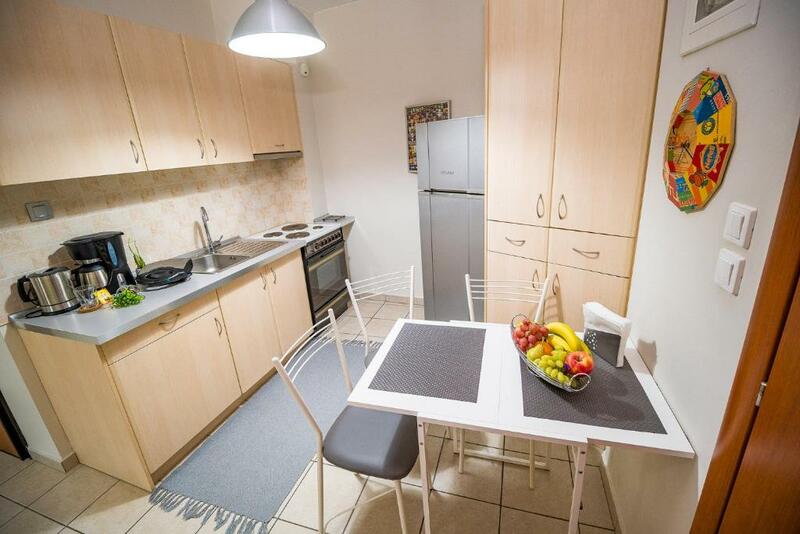 Kitchen: Fully equipped (electric cooker, fridge with freezer, toaster, drip coffee maker, kettle, cookware set, glasses, dishes,cutlery, spoons, table with chairs. Bathroom: Shampoo, shower gel, soap, toilet paper. Also, we provide hairdryer, first-aid kit and fire extinguisher, washing machine, iron, ironing board, drying rack, vacuum cleaner and mop. The balcony (with awning and screen doors) is comfortable, well-decorated and ideal for "pre-drink" mood. A few minutes walk away from the center and quiet neighborhood with all the amenities. Free parking, supermarket 3 min on foot, bakery 1 min on foot and very close to pharmacy and cafe. At the corner of Dragoumanou street & Koloniari street is located a bus stop (1 min away on foot), all bus lines go to the center. Moreover, there is a bus stop on Lagada street (3 min away on foot) and all bus lines go to the center. Also, at the corner Monastiriou street & Michael Kalou street is a bus stop (3 min away on foot), all bus lines go to the heart of the center and East Thessaloniki. In Railway Station (5 min away on foot) is the station of the buses to the center, TIF Helexpo, Ktel, airport and in any which way of city. You can find all bus routes online at The Oranization of Urban Transportation of Thessaloniki (oasth). For travelling to other Greek cities, search KTEL Greece and Trainose. 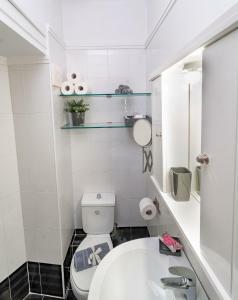 Leggi prima di prenotare Homelike centre apartment (free parking) accetta le richieste speciali. Aggiungile nel prossimo passaggio! Per calcolare il punteggio sono necessari almeno 5 giudizi. 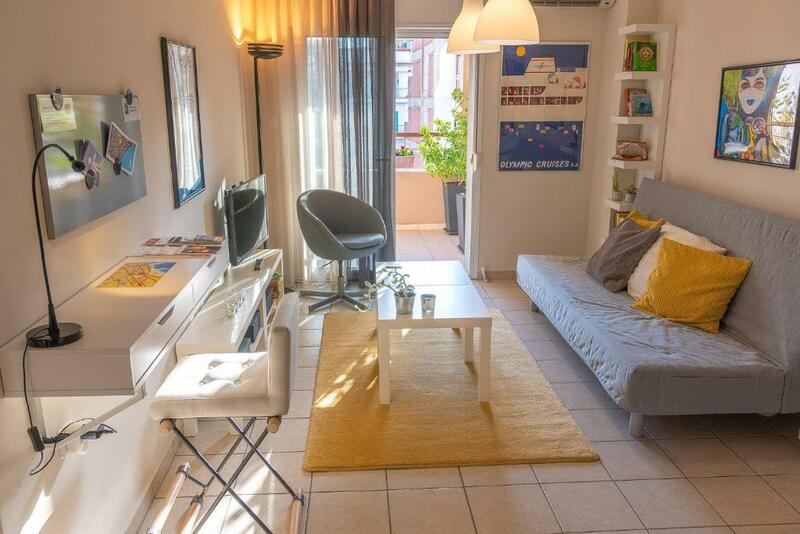 Puoi contribuire anche tu: prenota Homelike centre apartment (free parking) e dopo il soggiorno lascia una recensione!